“Um, Ms. Porzel, why haven’t we ever learned how to do this before?” my student asked while we were setting up their planners for the semester. I was teaching a small studies skills class to 9th graders. The course was focused on organization, study strategies, and academic skills. In this case, the kids had been given a planner each year, but had no idea how to use it. For struggling students, these study skills were the keys to the castle – the chance to improve their academic performance. But we only had 2 classes with 30 students (total) enrolled. That left the rest of the freshman class out in the cold. I didn’t have a short answer for my student. The answer to her question is way more complicated that I was ready to explain. The reality is mixed up with parents, teachers, and schools. Many teachers and parents don’t know much about study skills. (I didn’t!) They know what worked for them, but beyond that – nada. There has been so much research on the brain in the last few years. That research has changed a lot of recommendations for how to study. So, study practices from a few decades ago are sadly out-of-date. And for students coming from poverty, the situation is often worse. Often, their parents struggled in school and don’t know any study strategies either. So, they don’t get any help from home or school. Many parents, kids, and some teachers assume kids are just bad test-takers, or even worse, just bad students. And they will never be any better. That is just FALSE. They have a fixed mindset– they idea that intelligence is fixed at birth and cannot be changed. Research has shown this is not true. In fact, the brain is like a muscle; the more you exercise it, the stronger it will get. In other words, you can become smart. You can become a better test-taker and a student. This growth mindset encourages students to learn from mistakes and try again using different strategies. I cannot lay the blame solely on parents for this one – schools are partly the problem as well. Few high schools offer study skills classes to the general population. In my experience, the classes are only offered to small populations within the school – special education students and/ or those students struggling the most. But the kids in the middle don’t get any love. Teachers often don’t teach study skills in content classes because of the time crunch. Most middle and high school teachers are scrambling to finish their own curriculum, let alone “additional” study skills lessons. If you teach a course with a standardized test at the end of the year, the struggle is real. There’s also only so many classes students can take in a day. Many states keep adding required courses (personal finance, computer programming, additional STEM courses) that kids simply don’t have space in their schedules. They may only have room for 1 elective; if I had to choose between Study Skills or drama or choir, I would pick the creative one. 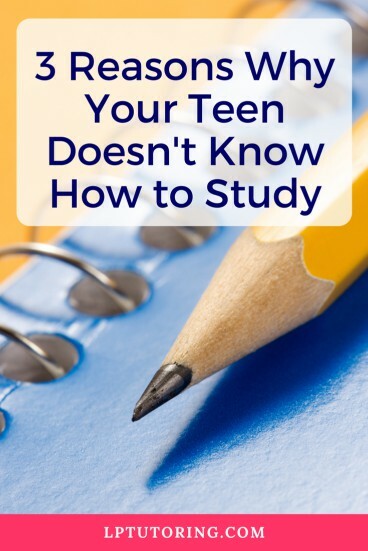 How can you improve your teen’s study skills? That doesn’t mean that we should give up, though! You and your teen can learn about organization and study strategies in many places, starting with this site! Check out the categories on the side and start reading. Also, grab the free checklist below to get your teen on the right track. What do you think is the biggest barrier to teaching study skills? Let me know in the comments below! 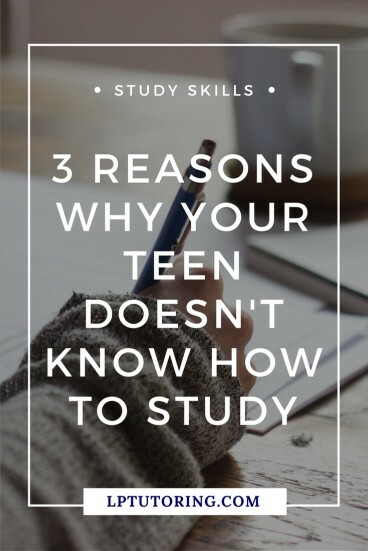 Related Posts: Learn How to Improve Your Study Skills, What People Get Wrong About Studying, How to End Homework Battles for Good!, What the Heck is Executive Functioning?